those depicted in paintings or exhibited in museums as icons of fashion history. 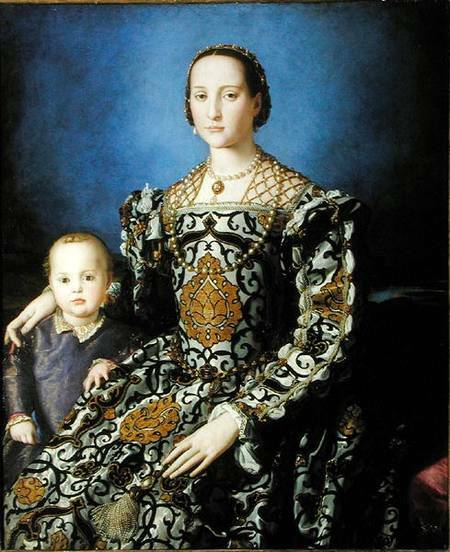 velvet/pomegranate gown worn by Eleanor of Toledo in the painting by Bronzino. 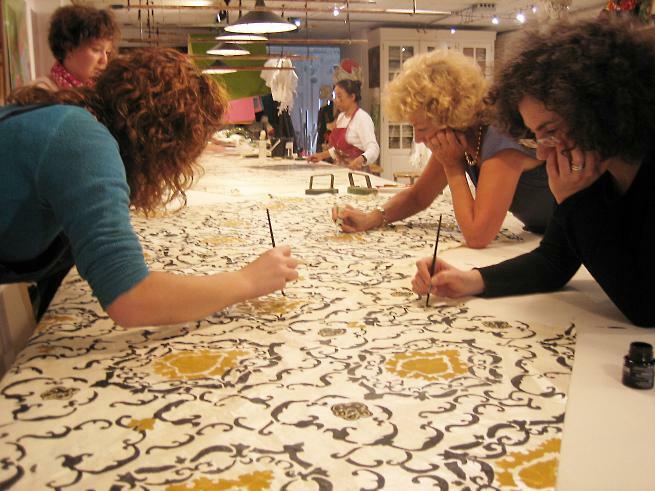 The exhibit will be at The Legion of Honor Fine Arts Museum of San Francisco through June 5th. Eleanor of Toledo (and detail), 2006, inspired by a ca. 1545 portrait of Eleanor and her son Giovanni de’ Medici by Agnolo Bronzino in the collection of the Galleria degli Uffizi, Florence. Photo: René Stoeltie. 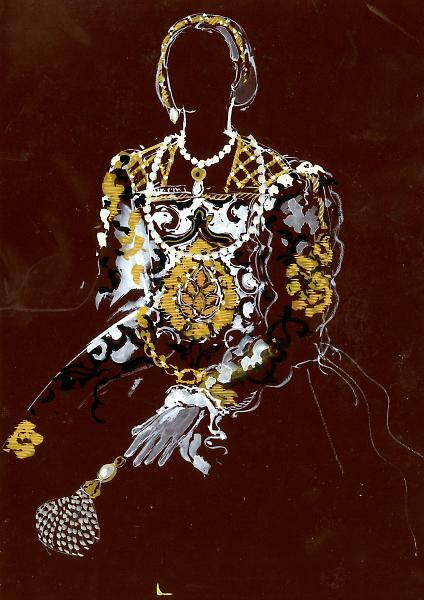 This entry was posted in Exhibition and tagged History of Costume, Isabelle de Borchgrave, paper art, Pulp Fashion. Bookmark the permalink.